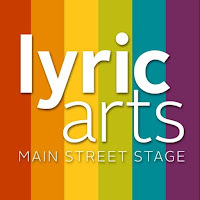 Exclusive Announcement of Lyric Arts' 2017-2018 Season! Who knew murder could be so fun?! In Theatre in the Round's production of the 1978 play Deathtrap, it is. This stage thriller that pays homage to classic stage thrillers while at the same time mocking them is full of jaw-dropping plot twist and plenty of humor. Twin Cities Theater Bloggers' winner for favorite comedic performance in 2016, Shanan Custer, directs the strong five-person casts and keeps the laughs and the surprises coming. 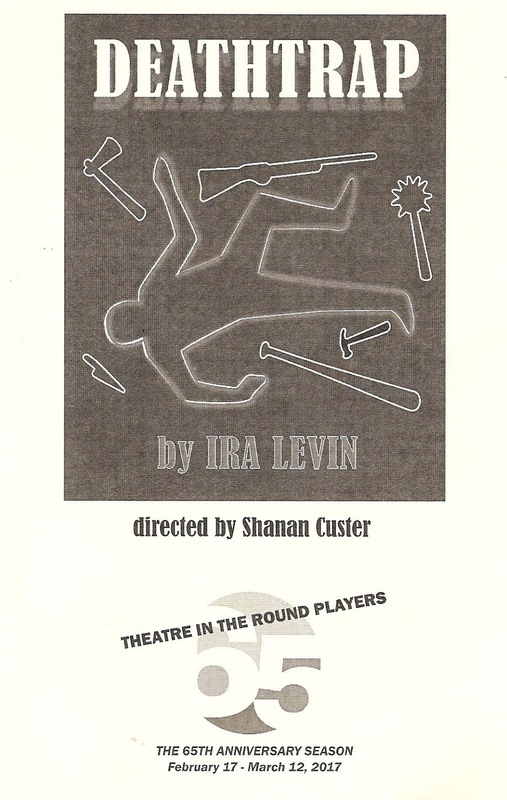 Deathtrap is a fun and engaging escape from the troubles of the real world, a place where we all know murder is pretend so we can laugh at the ridiculousness of the plotting. The ending of We Are Proud to Present, now playing in the Guthrie's Dowling Studio, is unlike anything I've ever seen in theater (for many reasons which I won't spoil for you here). It left me shocked, confused, and a little traumatized, but mostly it left me incredibly moved. It's such a powerful and important piece, forcing us to look at the long-lasting effects of colonialism around the world, its parallels with slavery in America, and how difficult it is to talk about racism. 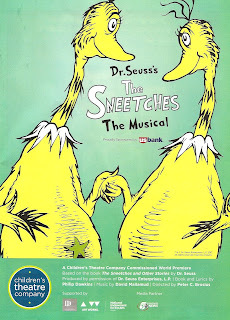 But even though the show leaves on a heavy and intense note, it's also really funny and innovative and theater-y too. It fools you into thinking it's a fun look at actors in rehearsal and then sneaks in some serious issues that soon become almost more than one can bear. 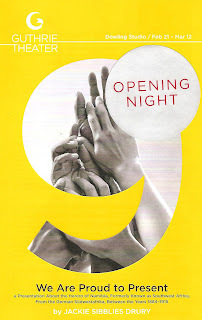 Fortunately the Guthrie's Level Nine initiative includes what they call Community Engagement Activities, which often means a post-show discussion with the cast or creative team or experts on the subject. Take advantage of this - it's a wonderful opportunity to decompress and process what you've just seen, and begin a conversation. 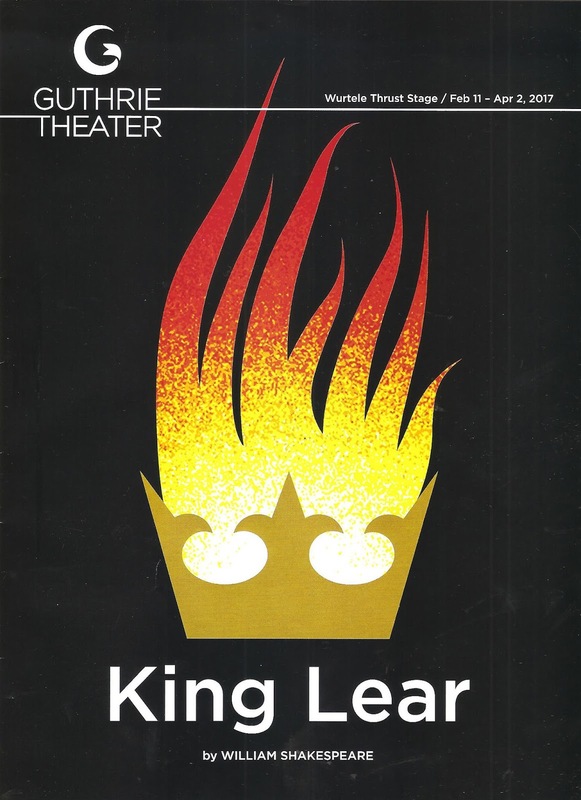 King Lear is considered one of Shakespeare's best tragedies, and the title role one of the most challenging roles to play in all of theater. The Guthrie Theater returns to King Lear for the first time in 22 years, and has hired not one but two beloved veterans of the Guthrie and other Twin Cities stages to tackle the role. Nathaniel Fuller and Stephen Yoakam take turns playing the lead and you can see the schedule here, although you really can't go wrong with either one - both are incredibly talented actors. 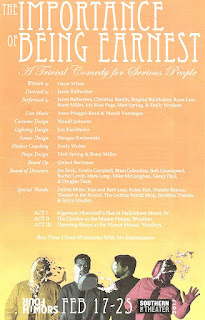 Stephen Yoakam played Lear the night I saw the show, and gave a powerful performance, as did many in the large and talented cast. 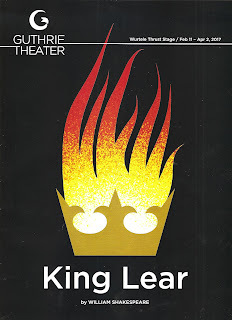 Combined with the gorgeous overall design of the show, this King Lear is a stunner. The Jungle Theater opened the first show in their 2017 season a few weekends ago, Anna in the Tropics set in balmy Florida. 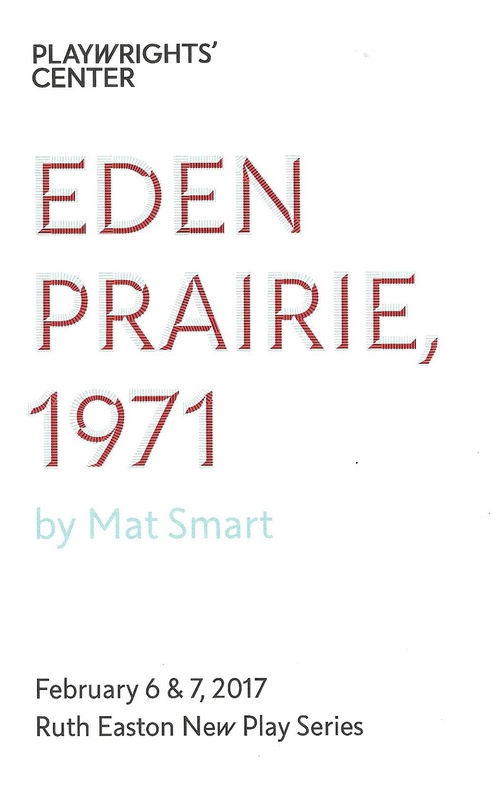 While we Minnesotans are enjoying an unprecedented 60 degrees in February and may not need an imaginary tropical escape, it's still a lovely, lyrical story of a family and a culture, but not without its tragedy. 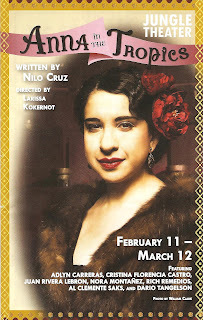 The wonderful all Latino and mostly local cast really makes this family and story feel alive. At its heart it's about storytelling, and the power that storytelling has to inspire us or change our lives. This play may not affect you quite as drastically as the characters in the play are affected by the story they hear, but it is an enjoyable place to spend an evening. It's rare that an audience audibly gasps when the actors first walk on stage at the beginning of a play, but when that play is Walking Shadow's luscious and brutal production of the new play historical Marie Antoinette, and the actors are wearing pastel colored three-foot tall wigs like cotton candy and dresses as wide as they are tall, it's an entirely appropriate reaction. 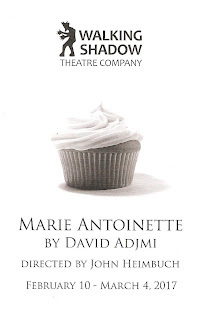 But what starts as a satire of a frivolous life of cakes and dresses (like an 18th Century Keeping up with the Kardashians), turns into a desperate story of survival as the French Revolution puts an end to that lifestyle. 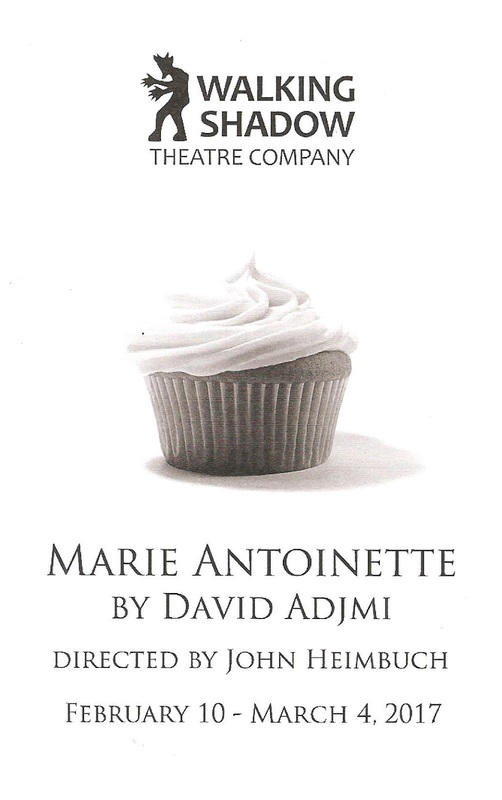 Playwright David Adjmi uses modern language to tell this historical story, which makes it seem like it could be happening today (despite the fantastic period costumes). Queens are experiencing a bit of a pop culture rise right now (see Netflix's The Crown and PBS' Victoria), and Marie Antoinette fits right in with those two excellent works that show us another side of the monarch we think we know. Classical Actors Ensemble is "dedicated to engaging audiences by capturing the spirit in which the plays of the English Renaissance were originally performed - with immediacy, passion, and as popular entertainment." 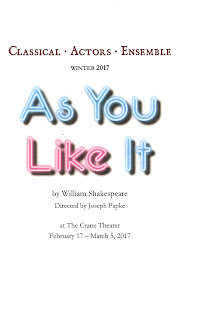 This is something they do beautifully with their summer Shakespeare in the park; I was charmed by their fun and playful Two Gents and Midsummer in recent years, and look forward to The Comedy of Errors this summer. This is my first time seeing CAE indoors, and I'm happy to report that they retain their playful spirit in a more traditional theater setting (although with the crazy warm February weather we're having, they might as well do it outdoors!). "Why would Four Humors do The Importance of Being Earnest? We acknowledge what is happening in the world right now, and we do not believe in running from our problems. However, we do believe taking a break from our problems is a very healthy thing. There is a theory that when we laugh, our mind is cleared and we are able to see our problems with fresh eyes. 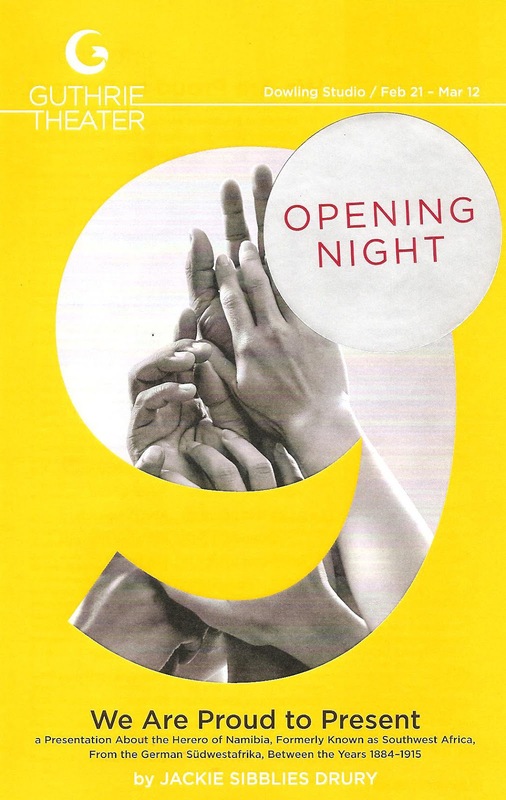 We hope this production will achieve this renewal and allow all of us to leave the Southern Theater with our heads held high, ready to tackle our challenges with renewed vigor and purpose. The act of art alone is worth fighting for. We hope you come play with us today, so we can continue our work tomorrow." I wholeheartedly agree with this statement by Four Humors, and their perfectly delightful production of Oscar Wilde's The Importance of Being Earnest definitely meets this goal. In this classic play, subtitled "a trivial comedy for serious people," Wilde brilliantly satirizes the high society of Victorian England in this absurd comedy of mistaken identities, and the consistently funny theater troupe that is Four Humors is the perfect company to bring us a good laugh in these... unusual times. It never fails. Whenever I go to see a Ten Thousand Things show, the storytelling is so clear it's as if I'm truly seeing it for the first time, even if it's a piece I've seen one or many times before. In their signature bare bones theater style, they've cut out all the fluff from the beloved musical Fiddler on the Roof (and let's face it, there's a lot of fluff in this show that often feels too long) to get right to the heart of the story. 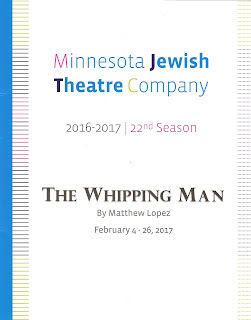 Even though I've seen the show twice in recent years (at the Chanhassen and Artistry), I've never been so caught up in and felt so deeply the story of one man's struggle with holding to his traditions, while still loving his family as they begin to change and grow out of those traditions. The brilliant Steve Epp makes Tevye so real and human, and along with the other eight members of this terrific ensemble playing multiple characters, makes the world of Anatevka palpably real and somehow modern, despite still being anchored in time and space. Because 50 years after it was written, this story about a family of refugees fleeing persecution and violence in their beloved homeland to find safety in America is as timely as ever. 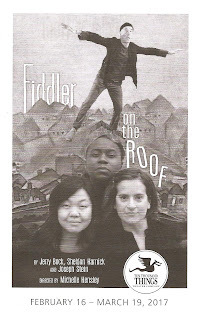 Fiddler on the Roof continues through March 19 at various locations and it is a must see. 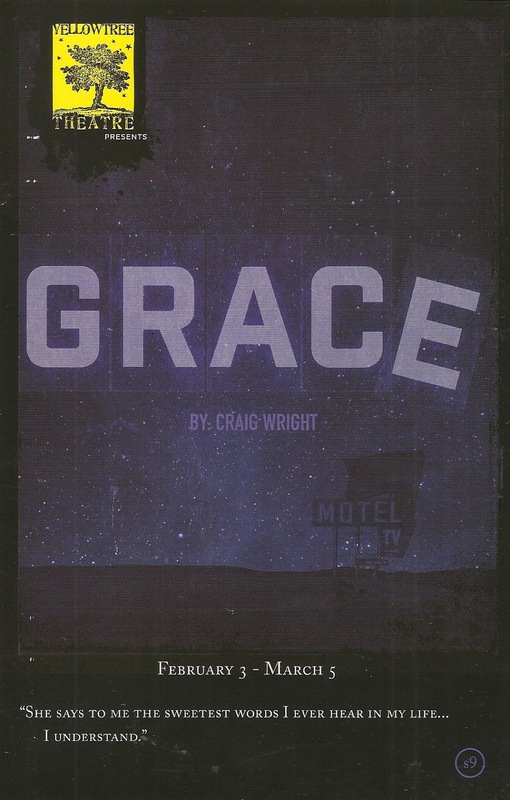 Yellow Tree Theatre's production of Craig Wright's very dark comedy Grace starts with a bang (literally) and doesn't let up. Yes there are comic moments, but it's very intense and heavy. After less than 24 hours of letting it settle I'm not sure how I feel about the play (violence is difficult for me to watch, especially in such a small space), but I am sure this is an excellent production. You couldn't ask for a better cast than these four - two familiar Yellow Tree faces and two faces new to this stage. Director Terry Hempleman (who also directed Yellow Tree's last Craig Wright play, The Pavilion), clearly lays out the issues of faith, forgiveness, and connection that the play explores, and walks that fine line of subtle comedy in the midst of great tragedy. This is a tough play to watch (which is maybe why there were more empty seats on a Wednesday night in Osseo than there usually are), but if you can make it through the ugly violence of the play, there are moments of beauty to be found, and plenty of ideas to be left contemplating as the lights come up. 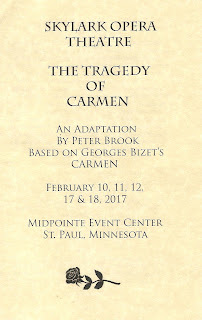 Friends, there's a very special and unique person sharing her story at the Ordway Center for the Performing Arts this week. I attended opening night of the Broadway tour of Hedwig and the Angry Inch on Valentine's Day, a day that's supposed to be about love but is often more about commercialism and feeling bad if you're not coupled off, or pressured to buy the right gift if you are. What better day to contemplate the very nature of love, both of others and more importantly, of oneself, with an East German transgender rock star? Hedwig shows us that it's OK to be authentically who you are, even if who you are doesn't fit into the neat labels and boxes society pressures us to fit into. As Ordway's Producing Artistic Director James Rocco notes in the playbil, "She's more than a woman or a man, but she really is her own gender - a gender that, by accident, defines individualism and the beauty of authentically being who you are." This idea of beautiful and worthy humanity no matter what body parts we have or whom we choose to love, is perhaps more important now than ever (as is pretty much everything, I'm finding). 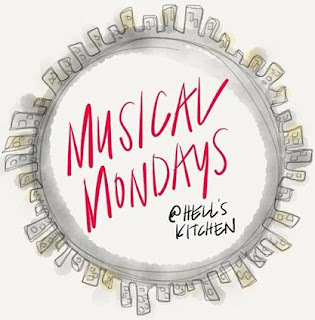 Hedwig is only in St. Paul for a week, do not miss this transformative theater experience! 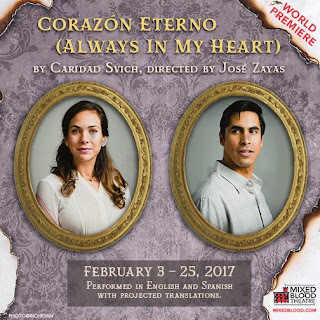 Fans of meaningful, relevant, timely theater - rejoice! 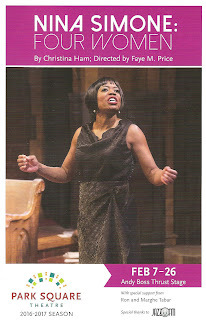 Last year's smash hit new play with music, Nina Simone: Four Women, is back at Park Square Theatre! 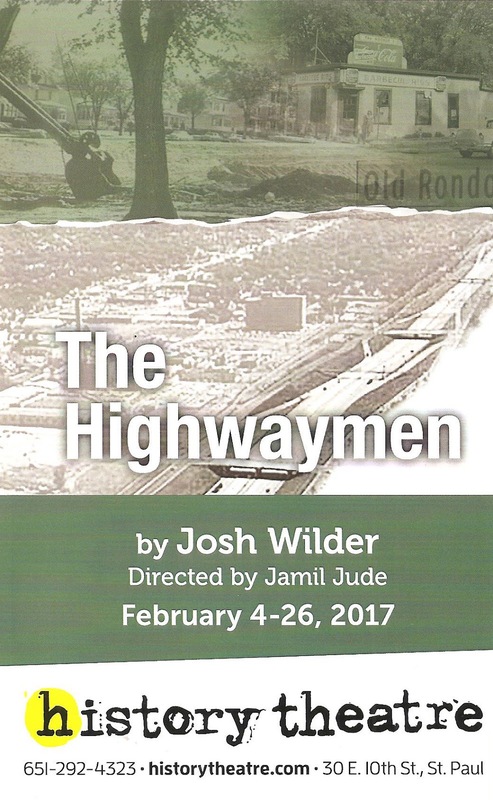 The Twin Cities Theater Bloggers chose this show as favorite in two categories: musical performance by an ensemble, and music direction (Sandford Moore). If you didn't see it last year, please don't miss this chance again. And if you did see it last year, you might experience it differently this year as a lot has happened in the past year that makes this show even more important to be seen. I've copied my original review below, but what really struck me this time is the idea of arts as advocacy. Nina Simone made a conscious choice to pivot her career from performing black classical music to mostly rich white audiences, to writing her own songs that spoke to the current black experience, putting her at the forefront of the Civil Rights movement. There's been much debate recently about the role of art and artists in politics and our national conversation, and Nina makes it clear that art was, is, and always will be political. The role of arts in society is to hold up a mirror, tell untold stories, engender empathy with our fellow human beings, and start conversations. 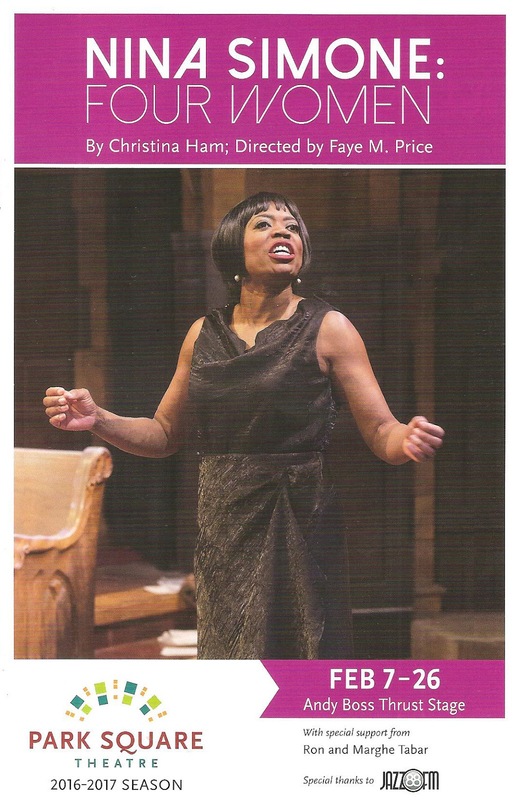 Nina did that, and continues to do that through Christina Ham's brilliant new play. Happy Valentine's Day, friends! 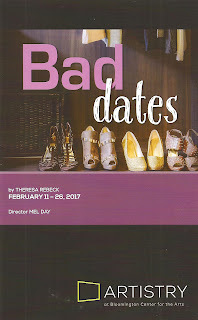 What better way to celebrate this greeting card holiday than with some bad dates? Specifically, Artistry's production of the one-woman play Bad Dates. Actually it's less about relationships and dating than it is about a smart, strong, independent woman who decides she wants to have a little fun in her life, now that her career and family are on track. I was prepared to get my feminist hackles up about this dating play, but it turns out it wasn't necessary. It's not about finding a man to be complete; Haley's life is already full and complete, she just wants to have a nice dinner and talk to an interesting person every now and then. The play is funny and relatable, and perhaps even a bit poignant at times. In addition to that, it's written by a woman, directed by a woman, and stars a woman, so I'm more than happy to support and recommend it. Welcome back, Skylark Opera! After cancelling their annual summer festival last year, something I had thoroughly enjoyed the previous five summers, they're back in 2017. 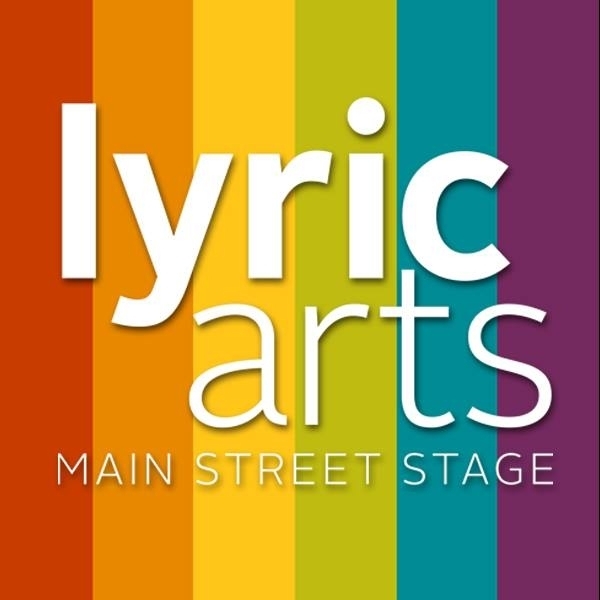 Newly rebranded as Skylark Opera Theatre, but still committed to making opera accessible to neophytes like me (they always perform in English, for one thing), they've got a couple of shows on the schedule early this year (although no word on the summer festival). 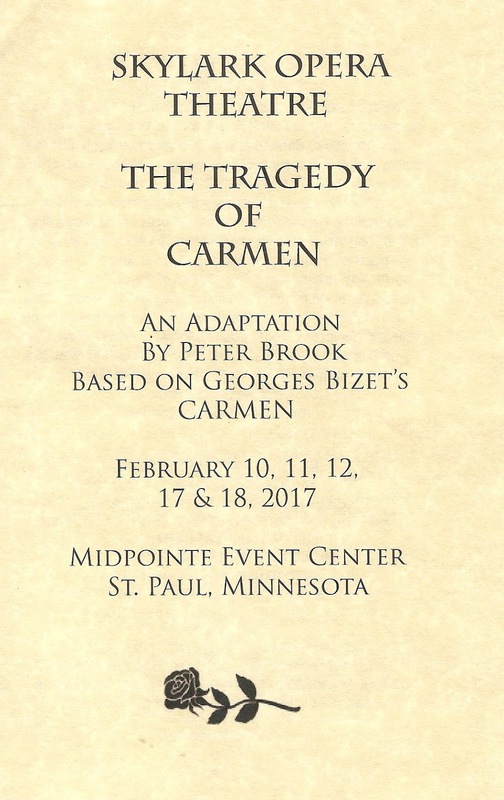 First up is The Tragedy of Carmen, a 90-minute English adaptation of one of the most well known and frequently performed operas, Georges Bizet's Carmen. With just six actors and a three-piece orchestra, performed in a small space, it's an intimate and thrilling up-close-and-personal take on a classic opera, even for those of us who maybe aren't that into opera. If you know me, you know that I'm a morning person who loves a 90-minute no intermission show - short, succinct, and to the point. The Royal Family, now playing at the Guthrie, is not that show. 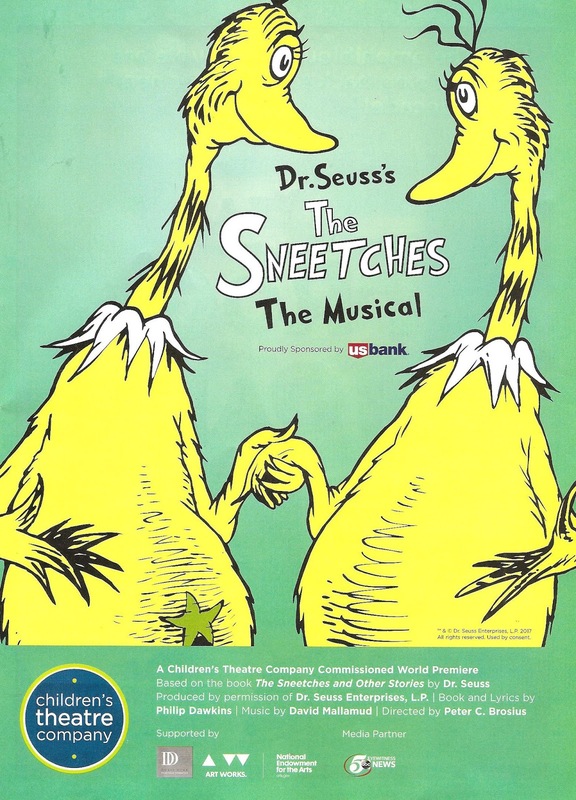 With its three acts and two intermissions, the show is pushing three hours. The good news is it doesn't feel nearly that long. In fact it's quite a delight to spend three hours with the wacky and extremely theatrical Cavendish family (as long as they're not your own). 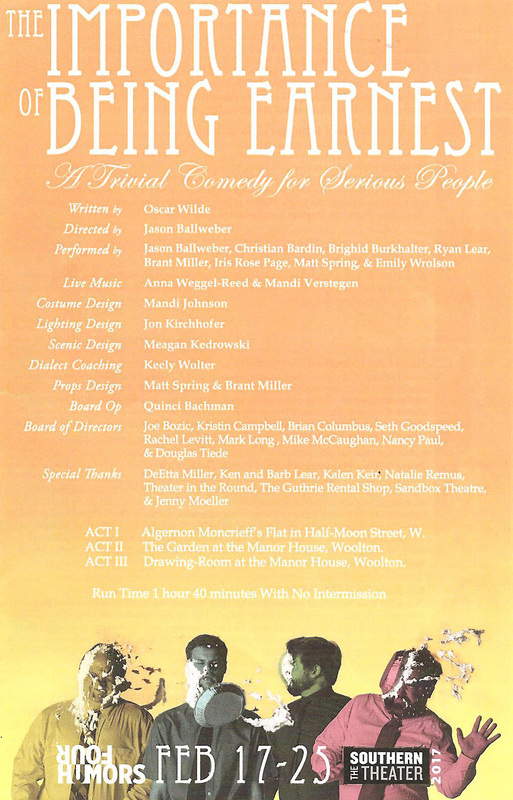 This 1927 Broadway play is a spoof of the real life Barrymore family of actors, a hilarious family comedy in addition to being an exploration of the sacrifices made by those in the theater. Directed by Rachel Chavkin (who also directed the new musical Natasha, Pierre, and the Great Comet of 1812, currently on Broadway*), the strong 15-person cast, made up of mostly local favorites with some national talent thrown in for extra spice, is a joy to watch. 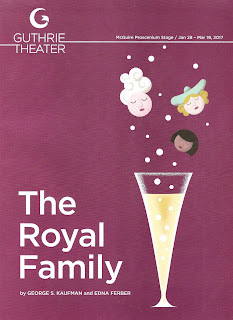 Continuing through March 19, The Royal Family provides plenty of laughter and a much needed escape. Kira: It is a peculiar thing about these mortals. They all know they will die, yet they are determined to create something. The "human spirit" is termed. It makes me feel... feel... oh Erato what is the word for which I search? You know, where something is so grand and so earnest yet ultimately so preposterous that one has to laugh. What does one call that? Kira: There we are! The human spirit gives me great feelings of Andrew Lloyd Webber. 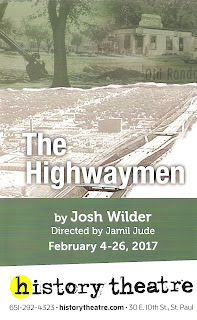 Yesterday, when most of the world was watching some sporting event on TV, I saw two plays in St. Paul that spoke to the African American experience. When I sat down to write about one or the other today, I found that I couldn't separate the two. Maybe it's just because I saw them on the same day, but it seems like the two plays really speak to each other. 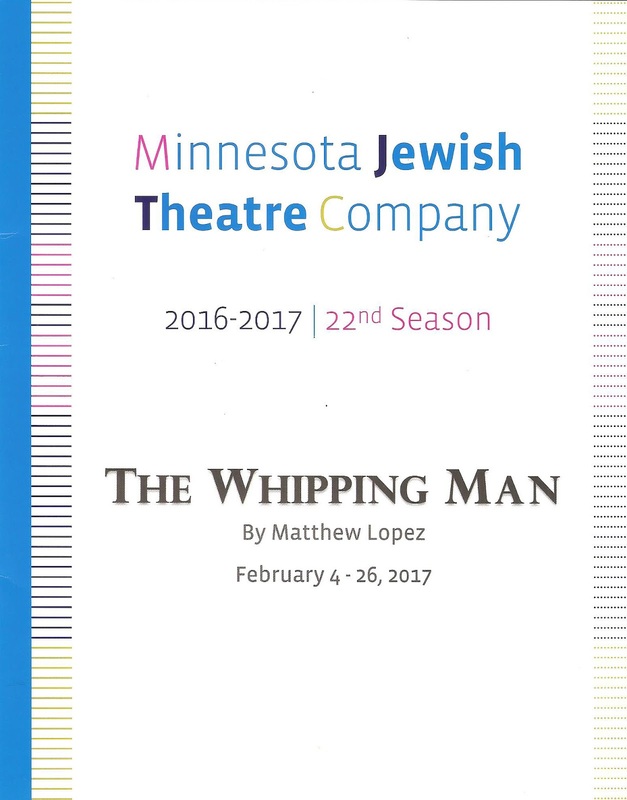 History Theatre's world premiere of The Highwaymen and Minnesota Jewish Theatre Company production of The Whipping Man ("one of the most widely produced new American plays of the last several seasons") essentially tell the same story, 90 years apart, one in St. Paul, Minnesota and one in Richmond, Virginia. 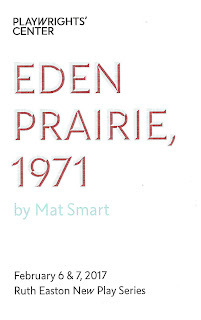 A story that continues to occur today in cities and small towns across the country. A story of black people being sent to the whipping man, of being sold South, of having their homes bulldozed to make way for "progress," of being imprisoned at a disproportional rate, of being denied education, of being shot by the police for walking down the wrong street. Both of these plays are really excellent productions, not always easy to watch, that shed light on one of the most important issues of our time. 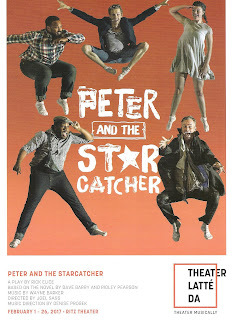 The 2012 Broadway play with music Peter and the Starcatcher is not your typical Broadway musical, or rather, play. 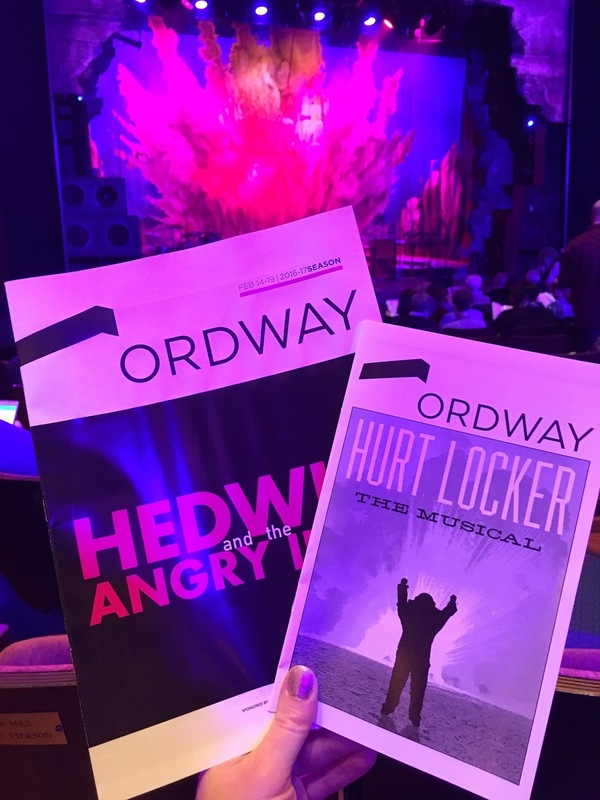 I was fortunate enough to see the original Broadway production and the subsequent Broadway tour, and was charmed by the innovative storytelling. I don't know how long it's been available for regional production, but I'm so glad Theater Latte Da snapped it up quickly. It's a perfect piece for the company whose motto is "we don't do musical theater, we do theater musically." And innovatively, and smartly, and brilliantly. With director Joel Sass making his Latte Da debut and a fantastic and diverse ensemble of nine actors (slightly smaller than the 12-person ensemble used on Broadway), this Peter and the Starcatcher is so charming and clever and inventive, just sheer delight from start to finish. In the darkness of the theater, a soothing voice was heard saying "what if I told you: we're going to be all right." I exhaled deeply, as if I'd been holding my breath for the last two weeks. Because in my 43 years on this planet, there's never been a time when I've been less sure that "we're going to be all right." 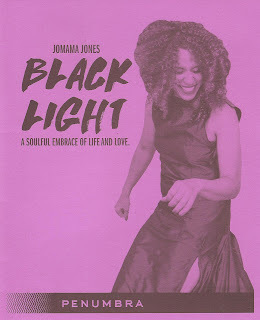 Jomama Jones in Black Light: A Soulful Embrace of Life and Love was exactly the balm I needed at this moment in time. Telling stories, singing, and performing, she made me laugh, she brought tears to my eyes, she made me believe, at least for a little while, that there is a light at the end of this tunnel we've found ourselves in (or perhaps, put ourselves in). This Black Light is shining through at St. Paul's Penumbra Theatre for a short time only, so don't miss your chance to experience what truly is "a soulful embrace of life and love."